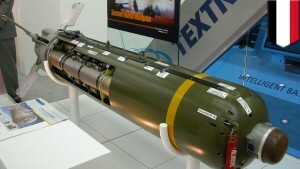 Use of Cluster Munitions has been recorded 56 times in Yemen by various on-the-ground sources. Cluster Munitions supplied, primarily, by the US. The US is a non signatory of theCluster Munitions Convention that bans their use, stockpiling and transfer. However the US’ own export regulations state unequivocally that the munitions must meet a less than one percent failure rate [unexploded ordnance] and must not be used against civilian targets. 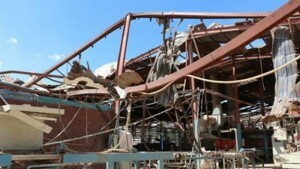 “The European Parliament’s call for an arms embargo on Saudi Arabia is unprecedented and reflects growing frustration at the conduct of war in Yemen by the Saudi Air Force. Saudi Arabia is a top arms client of the UK and France, and there is evidence that these weapons have been used in gross violations of international law in Yemen, where thousands of civilians have been killed since the start of the war in March 2015,” ~ Alyn Smith, Greens/EFA foreign affairs spokesperson. “Yemen is far from perfect but no country in this world is perfect. We did not wage this war, we did not provoke this war. For the first 40 days of the Saudi offensive, Yemen did not fire one bullet towards Saudi Arabia. It is rank hypocrisy from Saudi Arabia to label us the aggressor. It has always been the opposite. Saudi Arabia has always been sending its filthy elements into my country and attempting to spread its disgusting Wahabi ideology. Whether Zaydi or Shafi we will never adopt this distorted, twisted, ugly version of Islam. March 27, 2016 in Uncategorized, Yemen.